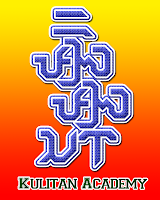 Baybáyin Script is an umbrella term for the Abugida (alpha-syllabary) writing systems of the Philippines. Generally, the Sulat Tagalog version is what people think of by default when "Baybáyin" is mentioned. However, there are different varieties of the script, Kulitan is one of them. Súlat Kapampángan (a.k.a. pámagkulit or kulitan) is used for writing the Kapampangan language spoken by folks from the Pampanga province in the Philippines. 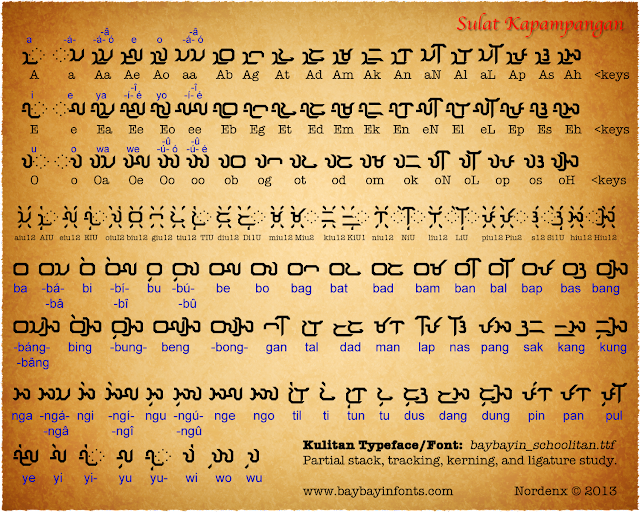 Kulitan differs slightly from Baybayin as it has been adapted solely for Kapampangan orthography. A different method of writing garlit (kudlit) diacritic marks and character ligatures & stacking were developed. 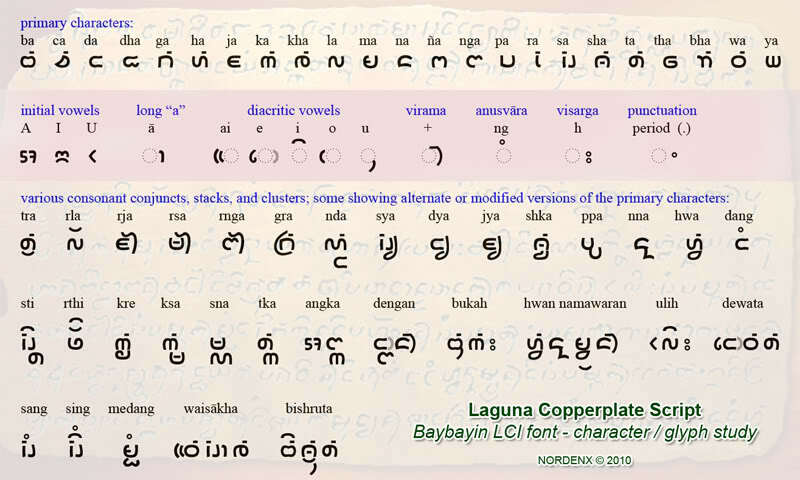 Much of the character shapes originally were the same as Baybayin but through limited but continued use, Kulitan handwriting evolved to match a vertical direction of writing preferred & popularized by Kapampangan practitioners, scholars, artists, and academics. Since Kulitan has been kept alive within the Kapampangan Academia; I created this Varsity styled font in dedication to the linguistic scholars of Pampanga. I have been following up and observing how the new generation of Kulitan students & practitioners write their Kulitan characters. 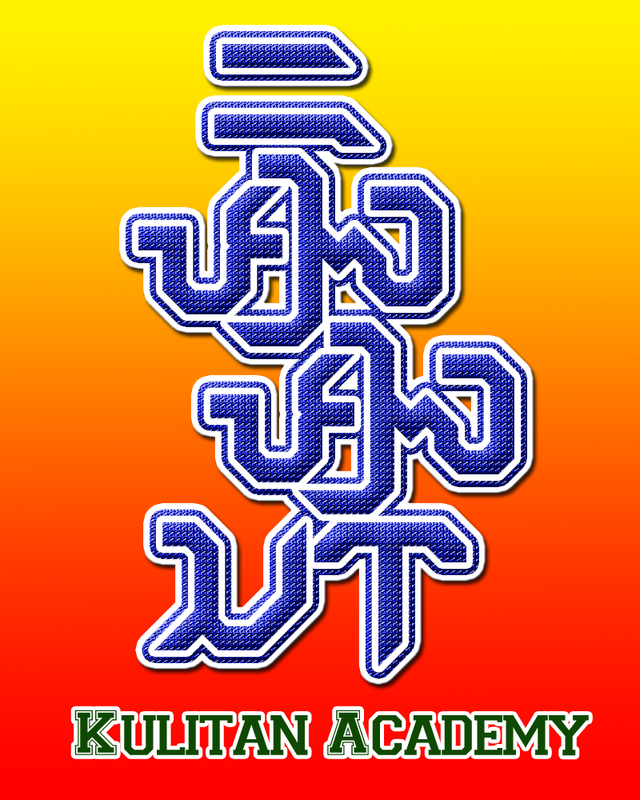 Many of their written works and calligraphy art has become available online through the Kulitan community in facebook: https://www.facebook.com/groups/Kulitkulitan/ and other various Kapampangan websites. I gathered & compiled the different handwriting styles to watch for uniformity and emerging standards in strokes. What became apparent is that a new generation of Kapampangan writers and Kulitan Calligraphers are starting to develop not only particular stroke styles, they are also developing new ways of stacking, ligatures, tracking, kerning, and cursives. These fonts are good for graphic-design & word-processing use only. They don't have Baybayin Unicode ranges filled up; but it's not really much of a big deal as they are too small to be used online anyway. They also don't carry my usual trademark "Tamaraw" glyph. 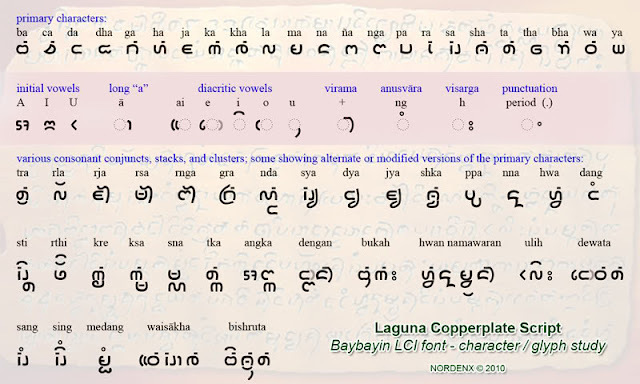 April 21 is the anniversary of the oldest known written artifact from the Philippines, the Laguna Copperplate Inscription (LCI). A Note of Warning: This font file was never finished, it's still a "rough draft" and it may cause compatibility issues with other baybáyin fonts. Naming conventions and other table settings are not cleaned up. Use it at your own discretion. Note that the glyph for the "o" marker is partially done and is there, but for some reason it won't show/print into the .pdf file (where the keyboard chart image was taken from). One example of how rough & unfinished this font set is. Use the chart below for your character/syllable guide. 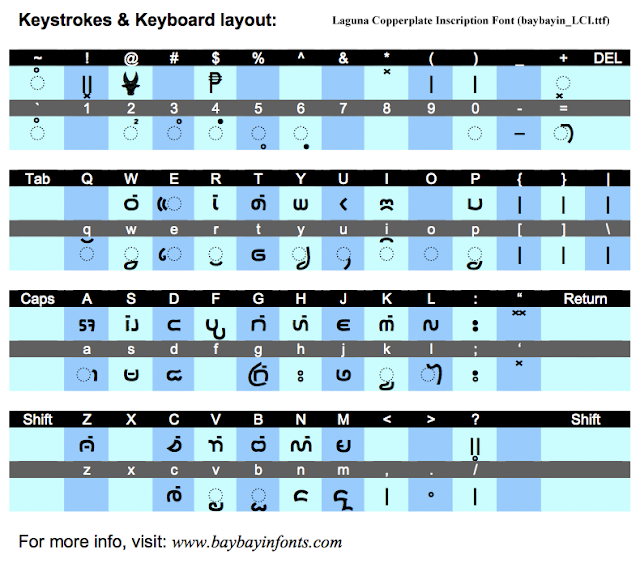 The glyphs from the LCI are basically Old Javanese/Kavi but with slight irregularities.